I'm sorry if this seems like a silly issue, but I'm really having a hard time with this. 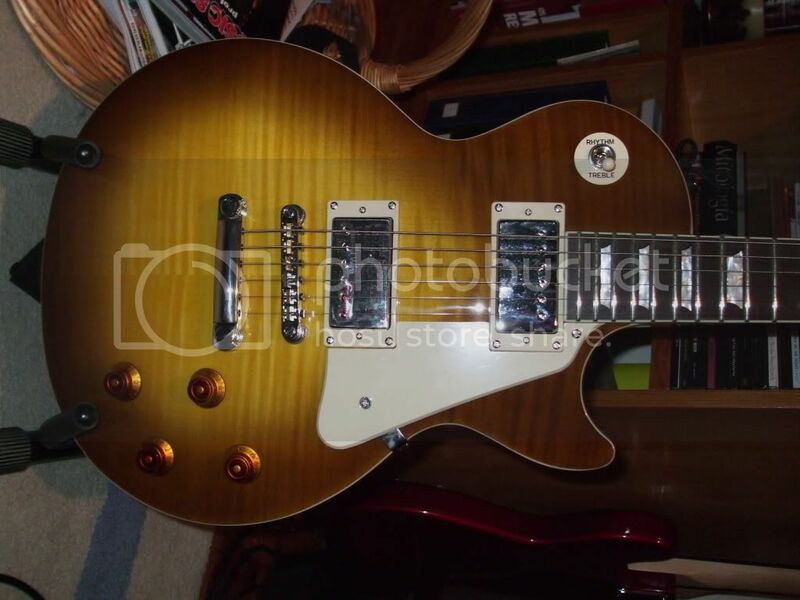 I am trying to get an Epiphone that is the exact same color as Jimmy Page, but from different photos and different videos, I can't grasp whether it is a cherry sunburst or a honeyburst, or a mix between the two. ), it looks so much darker and almost has a honeyburst. 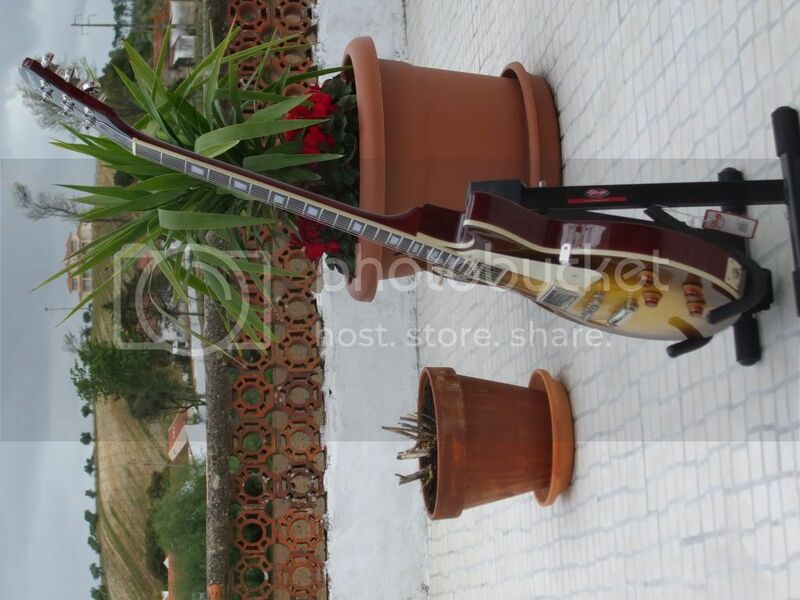 Out of the two Epiphones that I am considering, which color do you think is closest to jimmy pages' les paul? 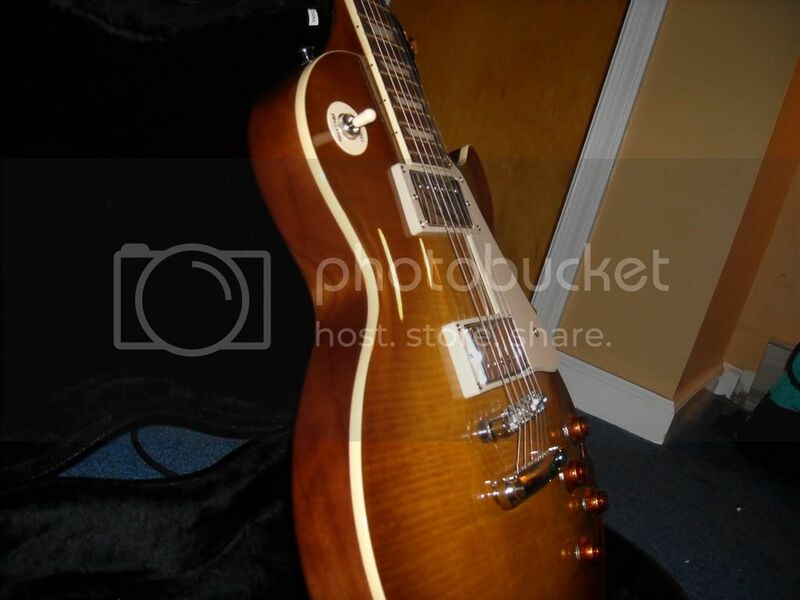 First off, a 1959 Les Paul used a nitrocellulose finish. These were very prone to fading, and they changed the finish in 1960 to be more resistant to light. Unless you pony up for a Custom Historic, you won't get that kind of finish. Then there's the aging. Even by 1969 when Jimmy got the guitar it was already 10 years old. 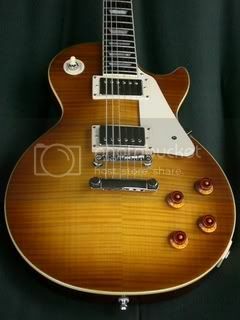 So anyway, if you're looking for a modern production Les Paul, all I can say is trust your eyes. Personally I don't think the Heritage, Vintage, Honey or Light Burst match the original. They're all too brightly colored. I suppose you could try a tanning booth! Ev you know so much! Hey I got it!!! We'll open our own little, "Make your new Les Paul look like Jimmy's!" Tanning booth ! How much should we charge? 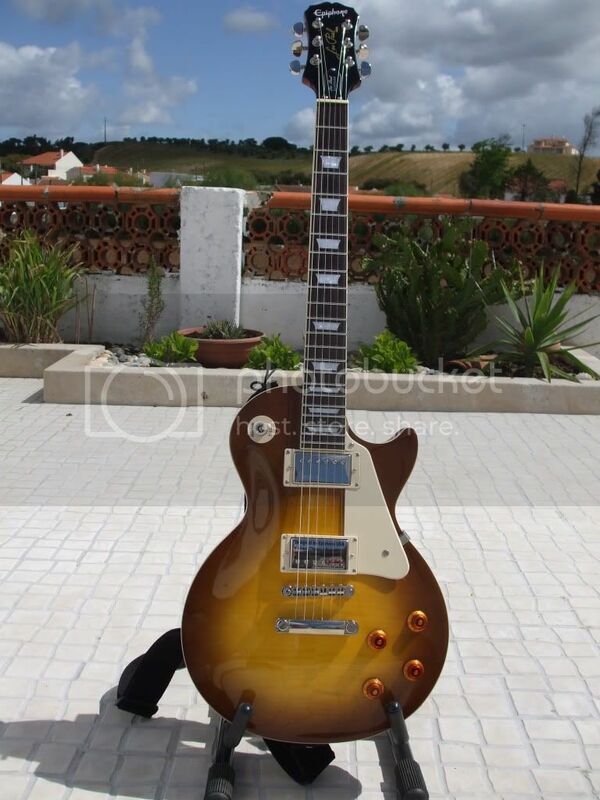 Tom Murphy aged Jimmy Page Les Pauls cost about $20k more than non-Murphy aged ones. Could be a profitable endeavor! look at the professional o2 video of black dog, and tell me that les Paul is not a honeyburst. I really believe it is and all this time I thought it was a cherry sunburst. It's both. There was originally only one color, but Gibson designed alot of the other burst finishes to mimic the different shades of faded LP's. I had the same dilemma and decided that the honeyburst was more accurate. One thing I didn't know, and neither did the guy at the store, was that Epiphone has two different plus-top honeyburst versions, I don't know if it has always been like that or if it's recent. This one is like mine. These are more orange and the back is brown. Mine is more like brown, the flames are smoother and the back is red or dark red. Maybe the grain in the wood will give it a different look.